Here at Upper Deck, our level of access isn’t just restricted to athletes. 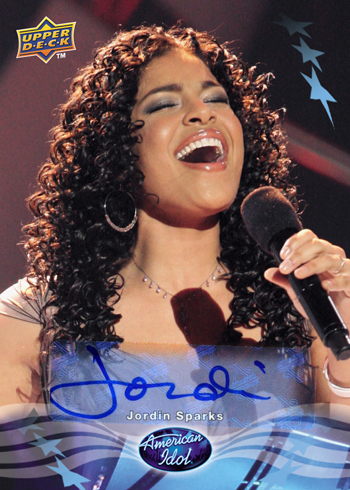 A perfect example is our current American Idol Collectible Cards product. Ana Pereira is the brand manager for this new card set that’s received tons of mainstream attention (who doesn’t want their very own William Hung card? 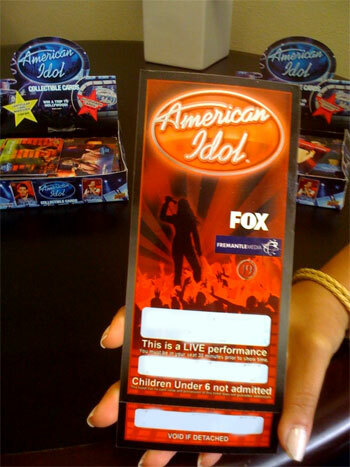 ), and one of the perks of her job was getting to see an American Idol show live and in person. Lucky for us, Hollywood is just a drive north from Carlsbad. The sweepstakes ends on May 7th, so if you want a chance to experience this, you should definitely pick some up at your local hobby store this weekend, or at a retail store like Target, WalMart, KMart or Toys ‘R Us. And prizes like free songs from iTunes will be ongoing even past that date. The cards themselves are pretty amazing too. Being that this is Upper Deck, the set features some cool inserts, like these autograph cards. We’ll be at the finale, hope to see you there! 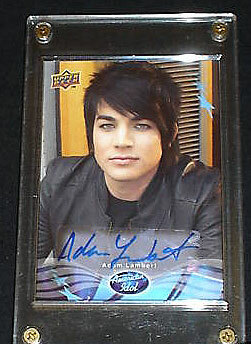 UPDATE (3:30 PM, 5/1/09): It seems like Adam Lambert is the buzz of the entertainment world right now, and the value of one of his signed cards in this set reflects that. 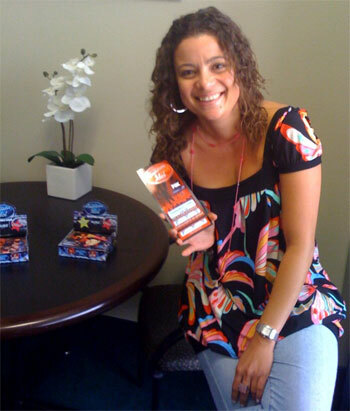 The card just sold for $190 on eBay: that’s more than an Alex Rodriguez 2009 autographed card! Keep in mind, Adam hasn’t even won yet, so the other contestants may very well see a similar trend. Who knew? Sure, I’ll trade my Griffey for your Jeter, but how about my Gokey for your Lambert? You’ll have to forgive my poor photoshop blur on the ticket image, we can’t show that information. I promise, if you win it’ll have a date, seat numbers and everything!